Kenya's international and midfield maestro Jamal Mohamed is set to join Romanian Club Târgu Mures. After carefully considering offers from other top clubs in Hungary and other European countries, Jamal has settled for the Romanian Liga 1 that is ranked 14th in the world as per the UEFA's league coefficient ranking list. FIFA licensed agent Marco Bonanini has been holding negotiations with the club which has shown a keen interest in Jamal. FCM Târgu Mures-plays in the Top Romanian League named Liga 1. 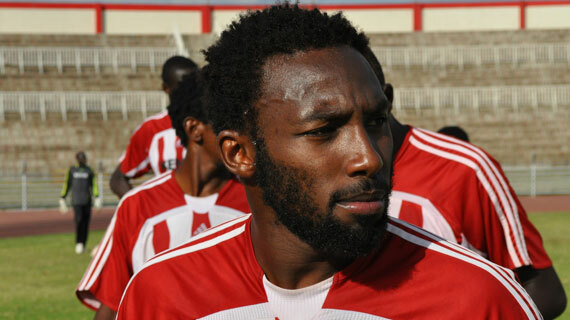 He is scheduled to leave the country for Romania after the Angola vs. Kenya away match to sign the official contract. As the club is already impressed with his skills after watching his video footage, Jamal will not be required to undergo trials. Jamal is one of the best midfielders Kenya has ever produced. His stints with the national team have always left fans yearning for more. Malo as he is popularly known hails from a family of footballers with his senior brother Musa Mohammed being a key figure in KPL side Bandari FC. His cousin Abdio Mohamed who honed his talent at Crystal Palace Academy in the UK is currently a striker with top flying Rangers FC awaiting a move to a European club soon. Mohamed started his professional career at Mathare United in 2003.He stayed there up to 2006 when he moved to Liberty Professionals F.C in Ghana. After one year in West Africa he had a brief stint with Israel side Hapoel Nazareth Illit F.C. before transferring to Swedish side Enköpings SK. After two great years in Sweden, Jamal decided he had had enough and came back to Kenya where he patiently engineered a lucrative move to Kuwaiti side Kazma Sporting FC, a club he featured for until last season. At Romania he will join a club that was founded in 2004 and has been on a steady rise. They played four seasons in Liga III before joining Liga 2.The team performed above expectation in first season in the second tier league, a feat that earned them a promotion to the Liga I in 2010-2011 after emerging winners. The team is currently placed 10th after 33 matches played. Their statistics read 12 wins, 9 draws, and 12 losses. Liga 1 is allocated two Champions League and three Europa league slots. FC Otelul Galati has been confirmed as the new Romanian league champions (2010/2011) season. Famous clubs in the league include perennial UEFA Champions league contestants Dinamo Bucureşti and Steaua Bucureşti. Currently in camp with Harambee Stars in Angola, Jamal is expected to feature in the Angola game especially after being influential in the first tie where he came on as a substitute to cancel Manucho’s goal and create passes that culminated into the second goal by Inter Milan’s MacDonald Mariga.